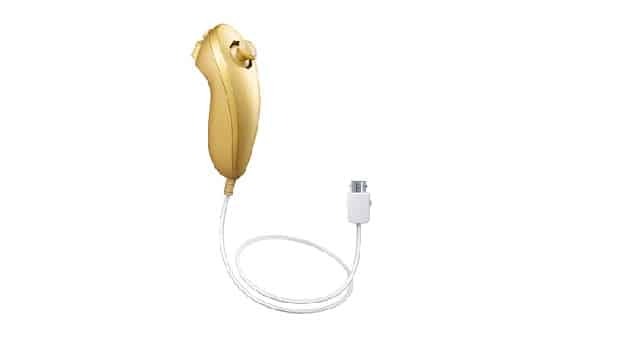 Nintendo of America have announced the availability of the Gold Nunchuk as a reward from their Club Nintendo service. It’s the perfect counterpart to the Gold Wii Remote Plus that was provided within Limited Edition copies of The Legend of Zelda: Skyward Sword. With a strictly limited quantity available, Club Nintendo members can purchase the Gold Nunchuk for 900 Coins.